An awesome clipart image defining the friendship. A friend is someone who travels with you, supports you, cherish you and loves you for who you are. The image shows two friends who hold hands and walks together in the lonely roads. 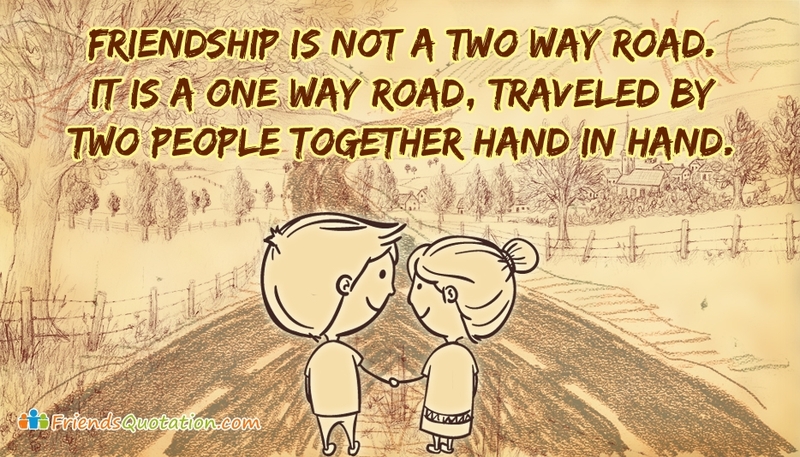 You can share this friendship quotation "Friendship is not a Two Way Road. It is a One Way Road, Traveled by Two People Together Hand in Hand" image to your best friend to assure that you are always present in his/her life journey.